The L.A. Lady Overdrive and Kingmaker Fuzz: 40 Classic Overdrive Tones in One Pedal. 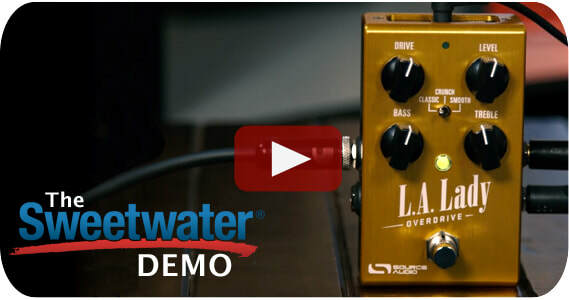 Former Source Audio engineer Brett Gildersleeve demonstrates each and every overdrive, fuzz, and distortion engine available inside the L.A. Lady Overdrive and Kingmaker Fuzz. The L.A. Lady and Kingmaker are digital overdrive/fuzz pedals that feature stereo inputs and outputs, full MIDI function, and over 40 classic overdrive tones inspired by classic amplifier pre-amps and guitar distortion pedals including the Klon Centaur, Big Muff, Tube Screamer, Tone Bender, Fuzz Face, Octavia, Marshall, Mesa Boogie and more. Each overdrive engine can be loaded directly from the Neuro Mobile App or Neuro Desktop Editor directly to the pedal for permanent onstage use. 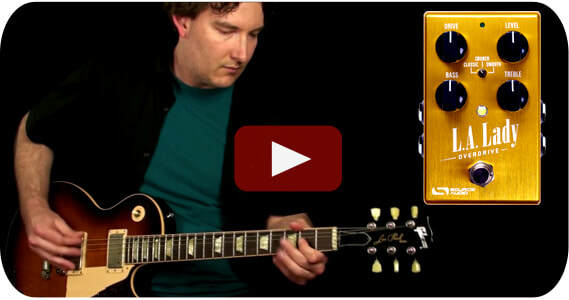 Andy at Pro Guitar Shop explores the warm overdrive of the L.A. Lady and the screaming tones of the Kingmaker Fuzz. Nobody goes deeper than Henning. 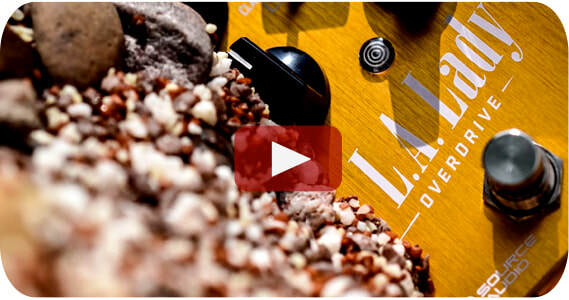 This excellent video really explores the L.A.L.O's great tone AND functionality.